Saekano: How to Raise a Boring Girlfriend, also known in the short form Saekano, is a Japanese light novel series by Fumiaki Maruto, with illustrations by Kurehito Misaki. Fujimi Shobo has published twelve volumes since July 2012 under their Fujimi Fantasia Bunko imprint. It has received a manga adaptation in addition to two spin-off manga adaptations. An anime television series adaptation by A-1 Pictures aired between January 9 and March 27, 2015 on Fuji TV's noitamina block, which has been licensed by Aniplex of America. A second season began airing on April 6, 2017. 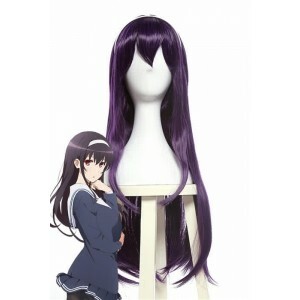 RoleCosplay online anime costume store provides a complete series of costumes for Saekano: How to Raise a Boring Girlfriend roles, including the famous Tomoya Aki, Eriri Spencer Sawamura, Megumi Kato, etc. You can find Izumi Hashima outfits in different occasions, colors and styles. 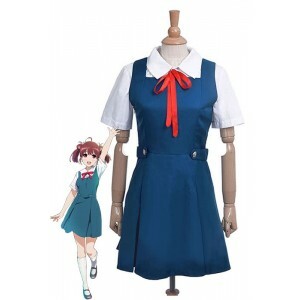 There are many lovely cosplay costumes for cosplay girls. Let's cosplay now.